Animal Welfare Approved by a Greener World is a food label for meat and dairy products that come from farm animals raised to the highest animal welfare and environmental standards. The program was founded as a market-based solution to the growing consumer demand for meat, eggs, and dairy products from animals treated with high welfare and managed with the environment in mind. The AWA program operates on the simple understanding that the way we raise our animals, the nutritional quality of the meat, milk and eggs they produce, and the impact of farming systems on the environment, are all intrinsically linked. We know that if we manage our animals properly and according to their needs, we don't have to rely on things like routine antibiotics and other chemical inputs to farm. We know that healthy, content animals produce better tasting, healthier meat, milk and eggs. And we know that pasture-based farming livestock systems can actually have a positive impact on the environment. Taken from A Greener World website. Certified Grassfed by AGW is an optional additional accreditation for high-welfare AWA farmers and ranchers to certify they are also raising animals according to a grassfed feeding protocol. Certified Grassfed by AGW is only available to farms that also meet the existing AWA high-welfare and environmental standards for the species concerned. It is the only grassfed label claim in the U.S. and Canada that requires farms to provide their animals with a 100% grass and forage diet and meet a range of practical and trusted farm environmental standards and high-welfare standards from birth through to slaughter. USDA organic certification confirms that the farm complies with USDA organic regulations. Organic operations must demonstrate that they are protecting natural resources, conserving biodiversity, and using only approved substances. The USDA states that the goal of organic foods and organic farming is to "integrate cultural, biological, and mechanical practices that foster cycling of resources, promote ecological balance, and conserve biodiversity." 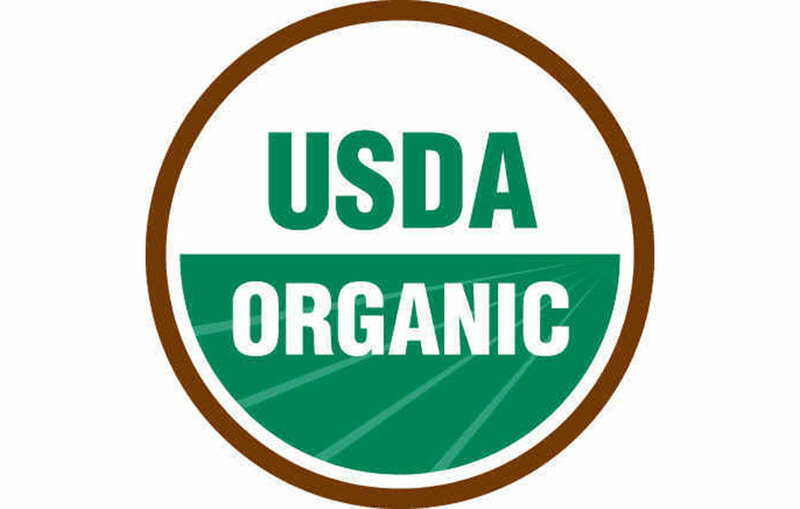 The USDA Organic seal means the product is free of synthetic additives like pesticides, chemical fertilizers, and dyes, and must not be processed using industrial solvents, irradiation, or genetic engineering, according to the USDA. Certified Non-GMO by AGW is the only food label in North America that helps consumers avoid genetically modified food ingredients and support high-welfare, environmentally sustainable food animal production. Available to farmers, ranchers and food producers, the Certified Non-GMO by AGW label guarantees food products are produced without genetically engineered/modified feed, supplements or ingredients, and that meat, dairy and eggs come from animals raised according to the highest animal welfare standards in the industry, Certified Animal Welfare Approved by AGW.